Hanna Boys Center today announced that Hanna alumnus and world-renowned performing artist, MC YOGI, will make a stop on campus as part of his Spiritual Graffiti Book Tour. 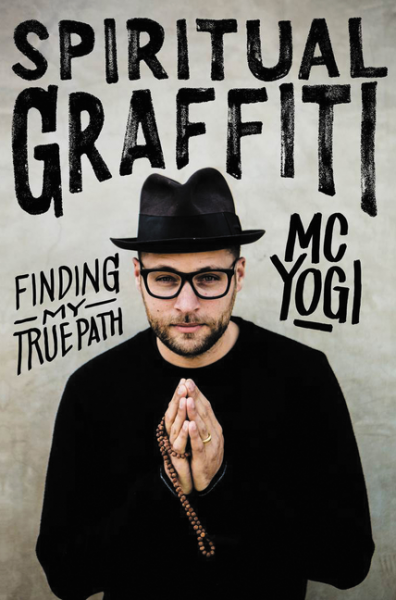 MC YOGI —formerly known as Nick Giacomini—will share stories from his new memoir, “Spiritual Graffiti: Finding My True Path,” and perform live during the event on Friday, November 17th from 6-9 pm. MC YOGI —formerly known as Nick Giacomini—will share stories from his new memoir, “Spiritual Graffiti: Finding My True Path,” and perform live during the event on Friday, November 17th from 6-9 pm. “Living at Hanna Boys Center was a real turning point for me. It gave me the structure I needed to turn my life around. The staff, teachers and the boys became like family. I have great memories and will always be grateful to Hanna,” shares MC YOGI. Hanna Boys Center today announced that Hanna alumnus and world-renowned performing artist, MC YOGI, will make a stop on campus as part of his Spiritual Graffiti Book Tour. MC YOGI —formerly known as Nick Giacomini—will share stories from his new memoir, “Spiritual Graffiti: Finding My True Path,” and perform live during the event on Friday, November 17th from 6-9 pm. Tickets are $65, and include a reception with heavy appetizers and a copy of MC YOGI’s book. All proceeds from tickets sales will benefit Hanna Boys Center. Since his experience at Hanna, MC YOGI has released seven albums and traveled the world with his wife, Amanda, teaching yoga and performing hip-hop music at major yoga gatherings and music festivals. 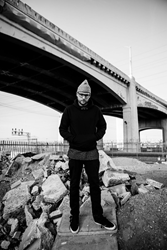 Additional information about his yoga classes, book and music are available at http://www.mcyogi.com. Additional details about the event are available at http://www.hannacenter.org/mcyogi. For questions or more information, contact Leslie Petersen at lpetersen(at)hannacenter.org or 707.933.2555. Hanna Boys Center today announced that Hanna alumnus and world-renowned performing artist, MC YOGI, will make a stop on campus as part of his Spiritual Graffiti Book Tour.MC YOGI —formerly known as Nick Giacomini—will share stories from his new memoir, “Spiritual Graffiti: Finding My True Path,” and perform live during the event on Friday, November 17th from 6-9 pm.